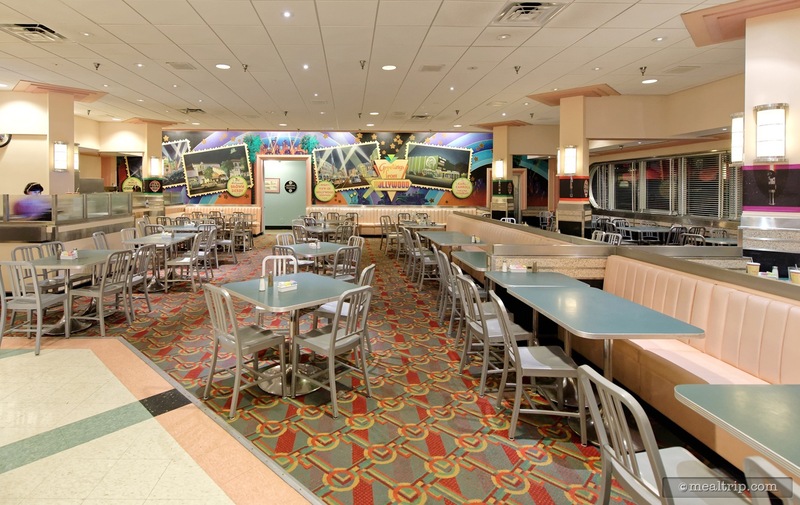 The Hollywood & Vine - Character Lunch Buffet listing is a Character Buffet dining location at Hollywood Studios featuring American cuisine. There are 32 photos in the Mealtrip photo gallery for this location and dining period. 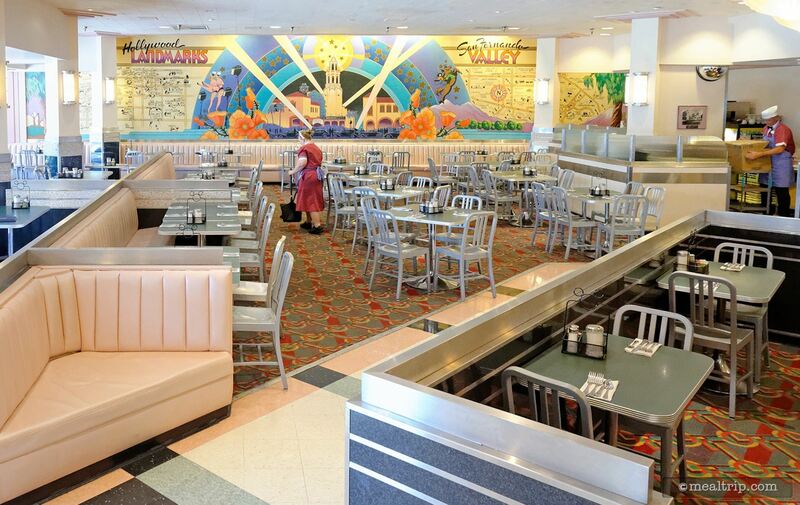 The Hollywood & Vine - Character Lunch Buffet listing currently has a score of 82 out of 100. 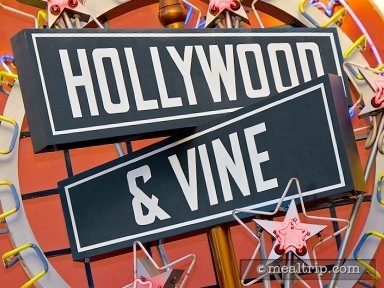 Click here to read all of the reviews for this location, or log in to Mealtrip.com to add your own review for Hollywood & Vine - Character Lunch Buffet. 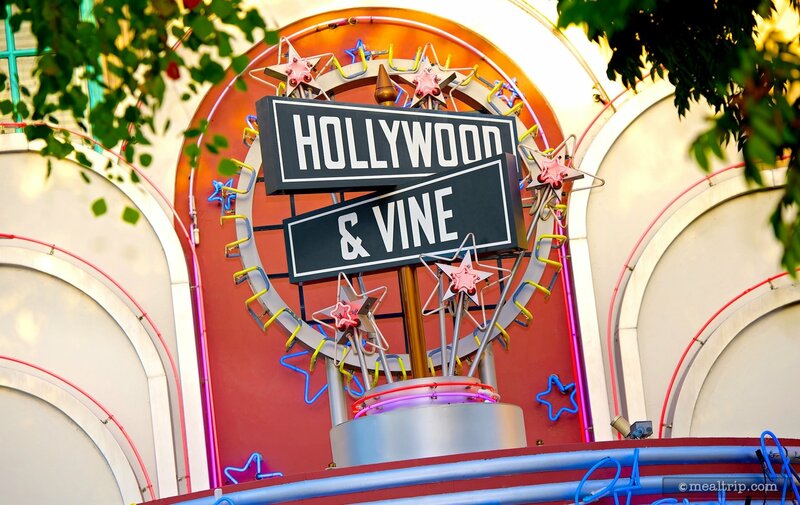 The Hollywood & Vine sign, high above the entrance to the restaurant. 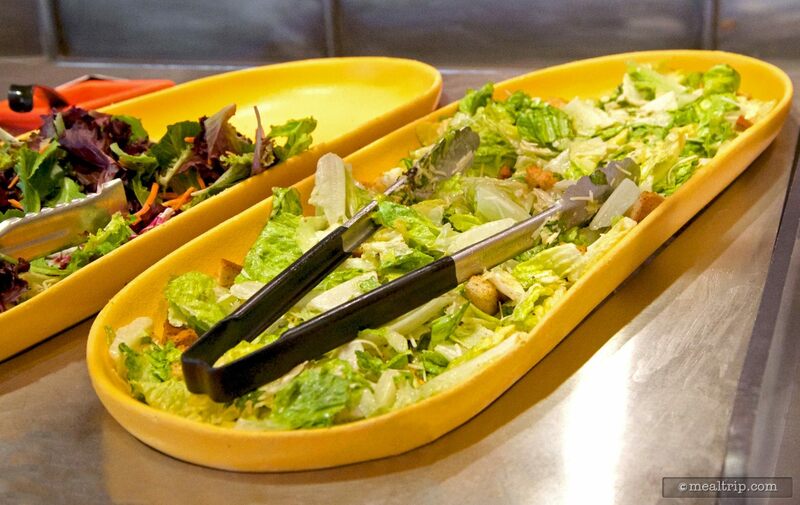 Caesar Salad on the Hollywood and Vine buffet line. 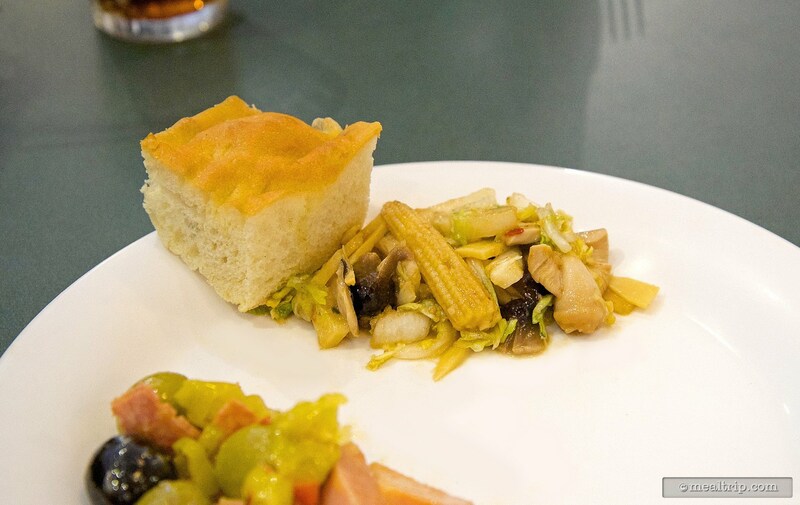 Fresh Focaccia bread and one of the chilled chicken and vegetable prepared salads from the beginning of the buffet line. 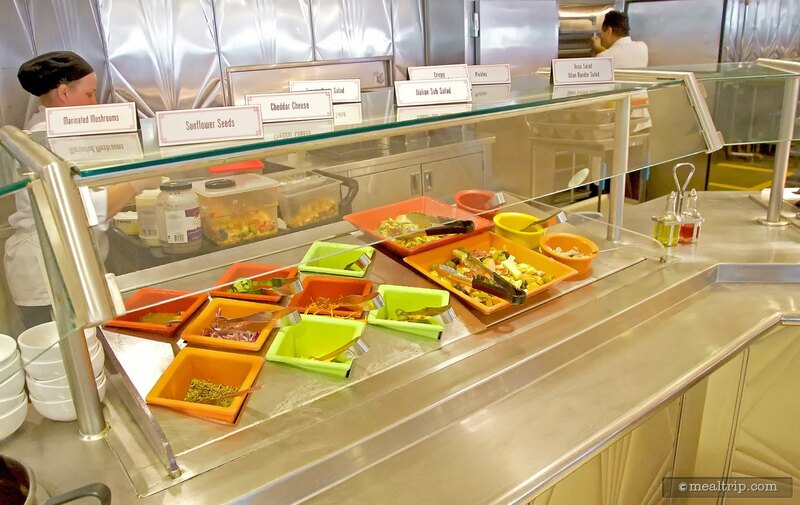 The prepared, chilled salad station during Hollywood and Vine's Play-and-Dine lunch period. 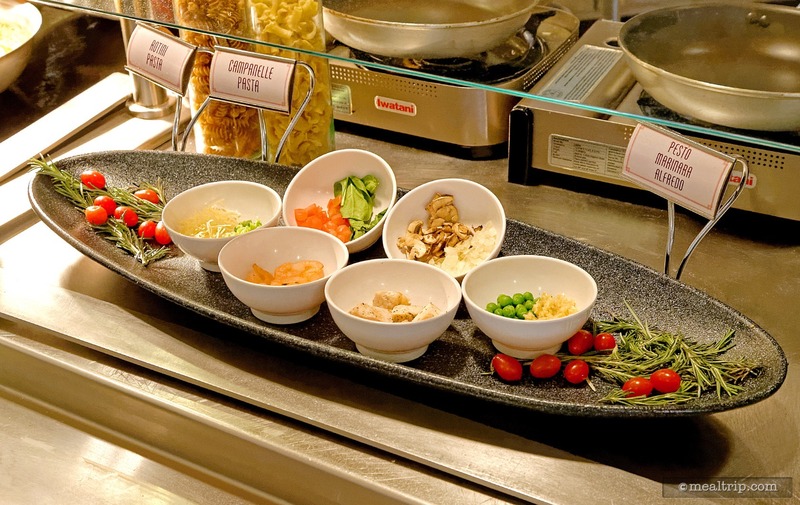 A Create-Your-Own Pasta Bar is available during lunch time at Hollywood and Vine, where you can select which pasta type and ingredients you would like in your made-to-order pasta creation! 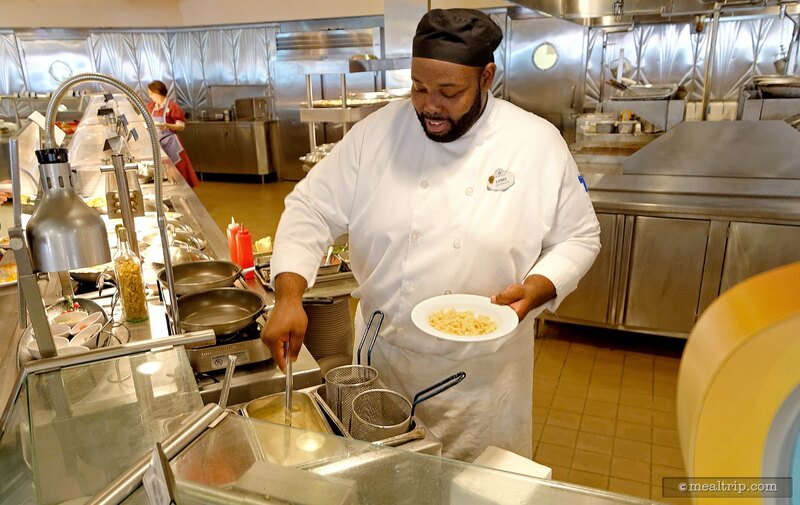 For lunch, there's a great made-to-order pasta station at Hollywood and Vine, where you can select from a number of pasta types and ingredients, then the chef will prepare it all for you! 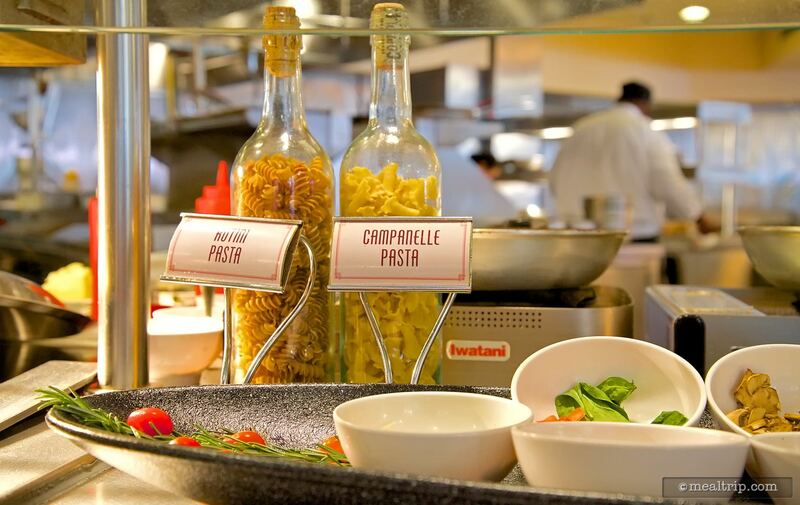 Action at the made-to-order pasta station. A couple of different pre-prepared pastas are usually available. 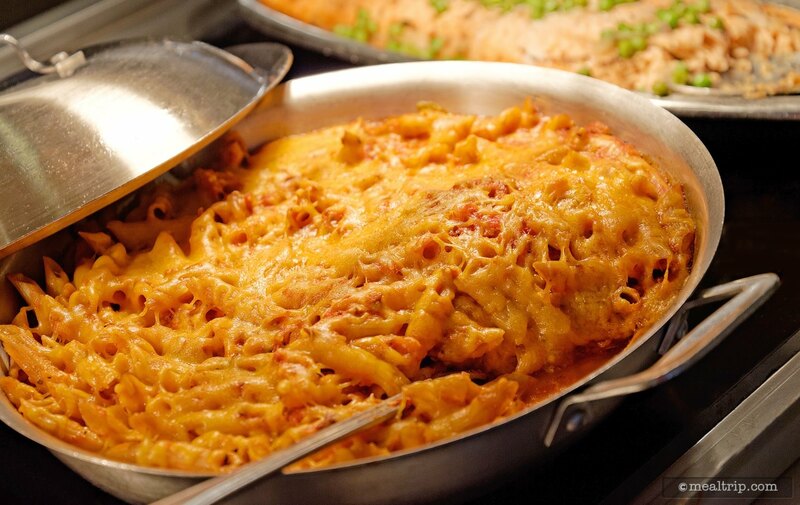 Here, a Multigrain Penne Pasta with Meat Sauce is pictured. 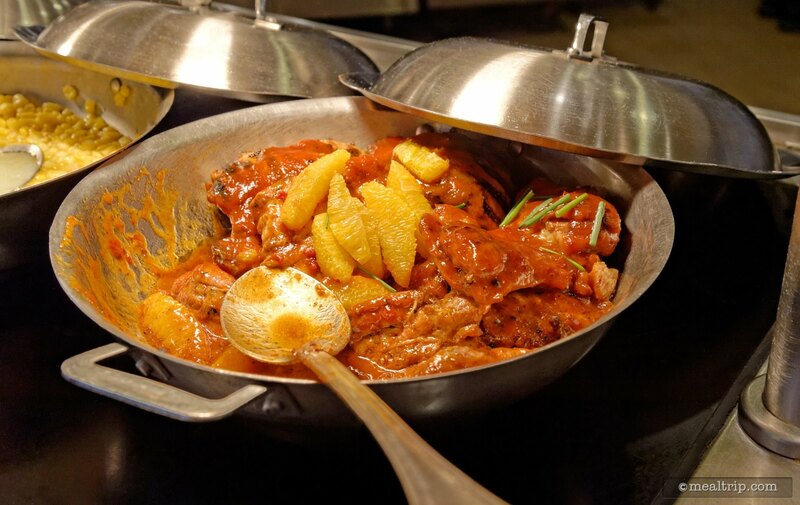 Chipotle Orange BBQ Chicken is one of the items available on Hollywood and Vine's buffet line. On most day's, there is a salmon of some type available. 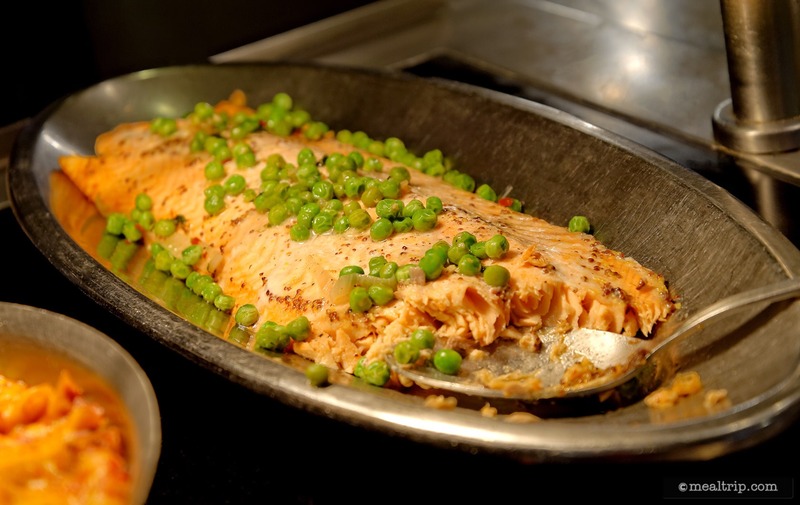 Here, a baked, maple glazed version with peas and onions is pictured. 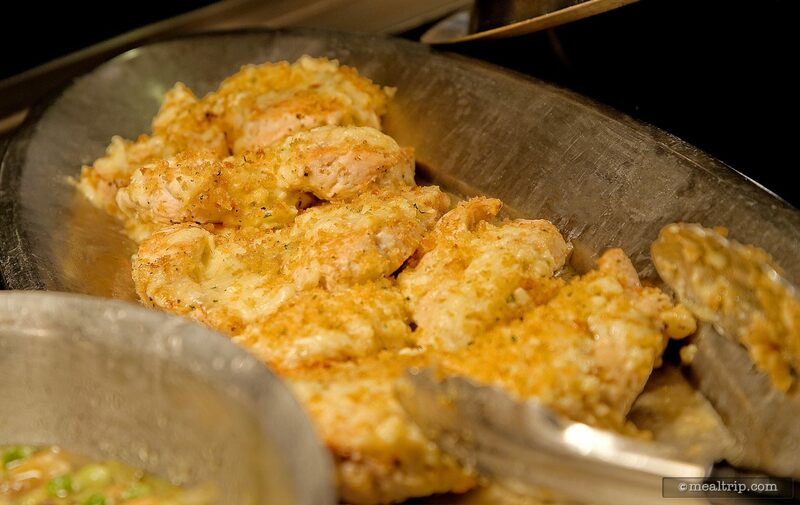 The asiago chicken tray in the buffet line at the Play and Dine lunch. 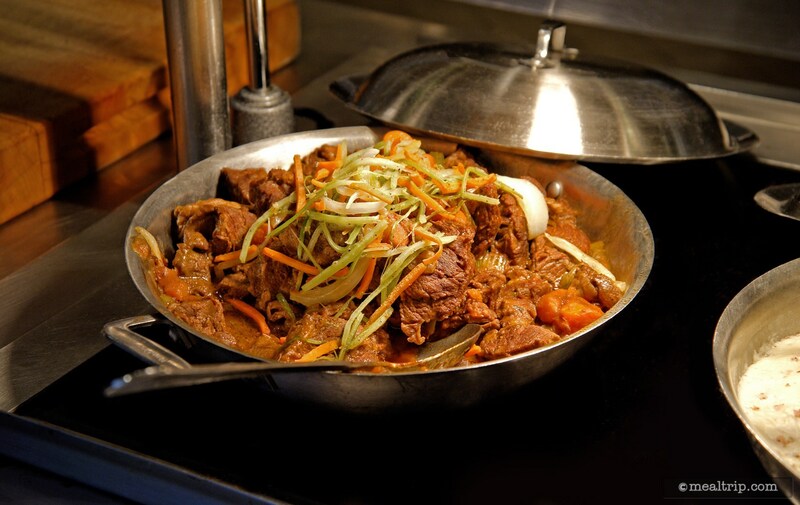 The Beer Braised Boneless Beef Short Rib dish is one of the many great items you'll find at Lunch and Dinner at Hollywood and Vine. 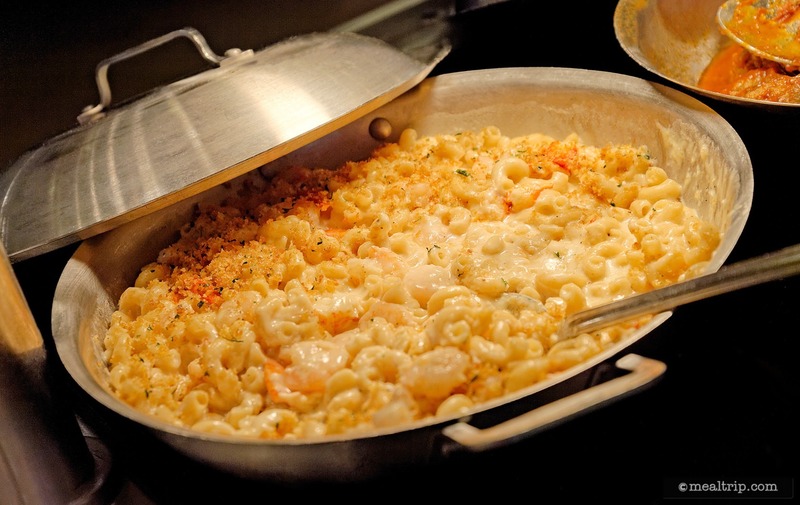 The Lobster & Shrimp Mac n’ Cheese is a guest favorite. 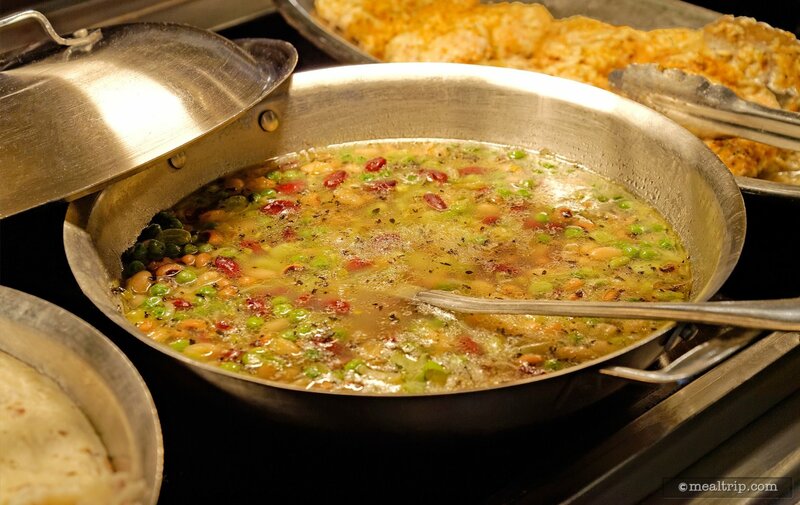 This multi-bean mixture is one of the hot side items available at Hollywood and Vine. 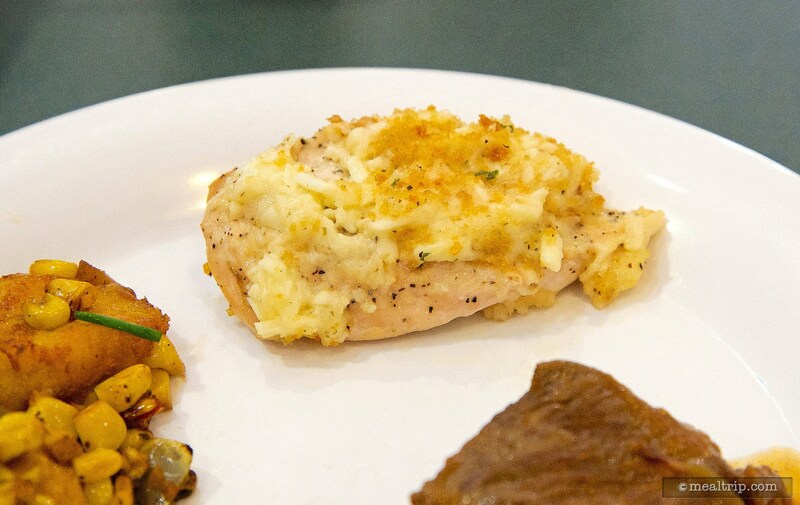 Plated Asiago Chicken from Hollywood and Vine's Lunch buffet. 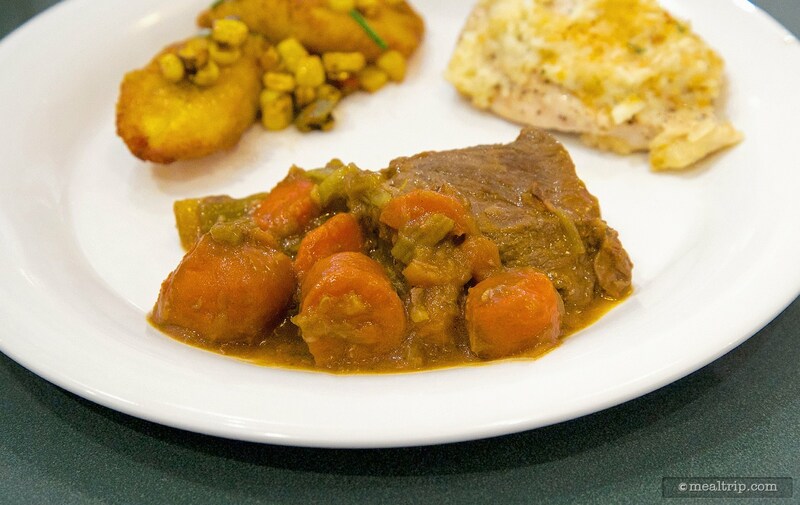 Plated Pot Roast with Carrots from Hollywood and Vine's Lunch buffet. 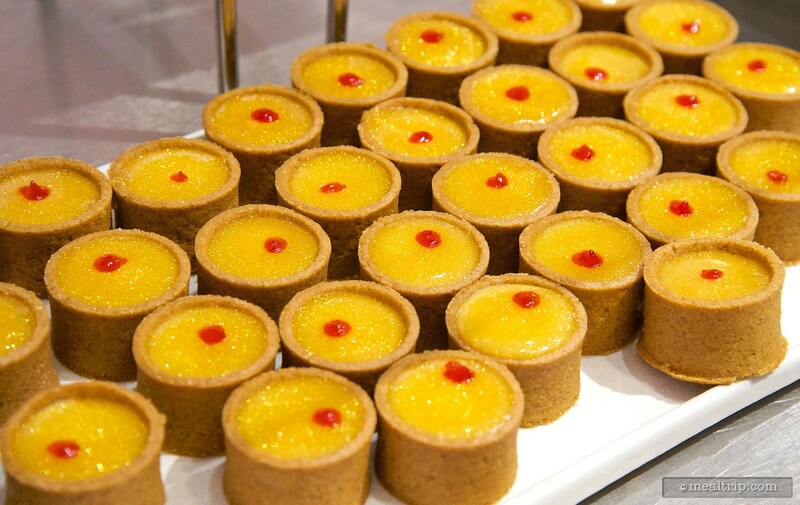 Key lime tarts are on the lunch and dinner dessert station. 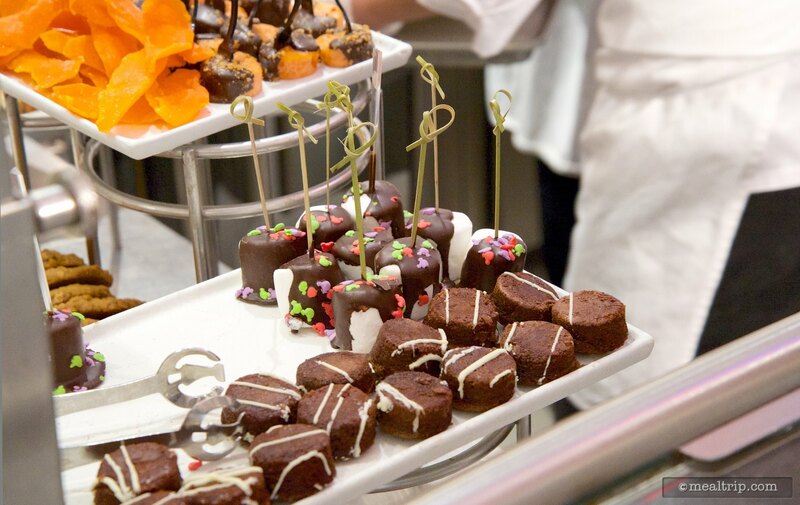 Chocolate covered marshmallows and mini brownie bites. 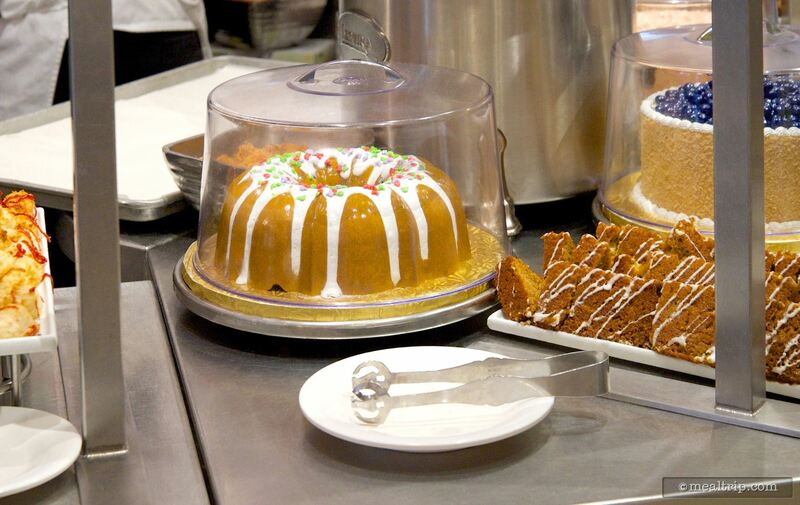 Although this bunt cake under glass is plastic, pre-cut versions of the spice cake area available (to the right and in front of the plastic cake). 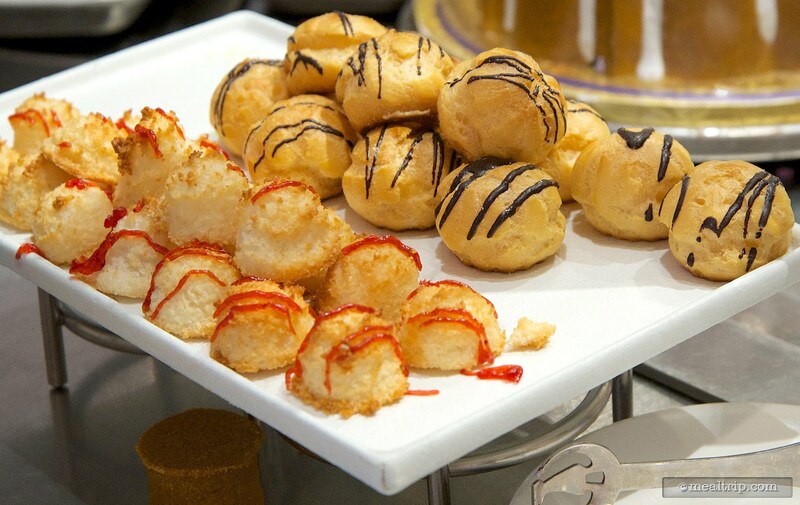 A collection of coconut macaroons with berry drizzle and small cream puffs with chocolate drizzle are on the dessert station at Hollywood and Vine. 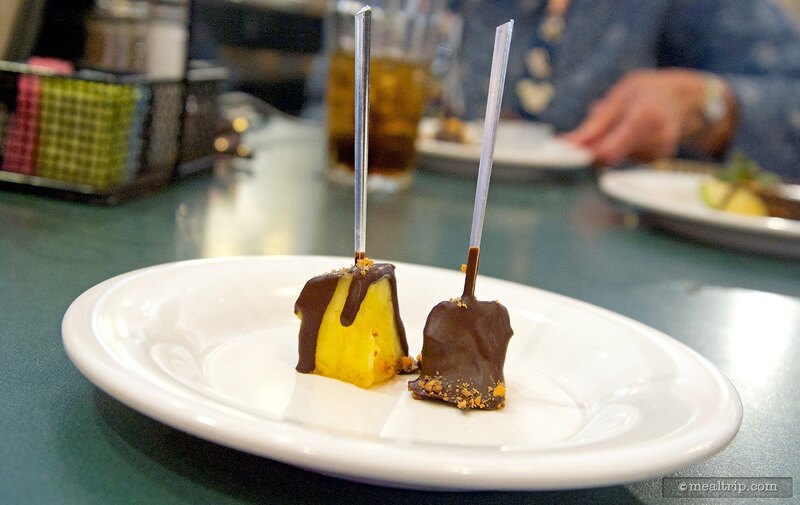 There are also healthy options for dessert, like these chocolate covered pineapple chunks. Well, it's fruit… it has to be good for you. 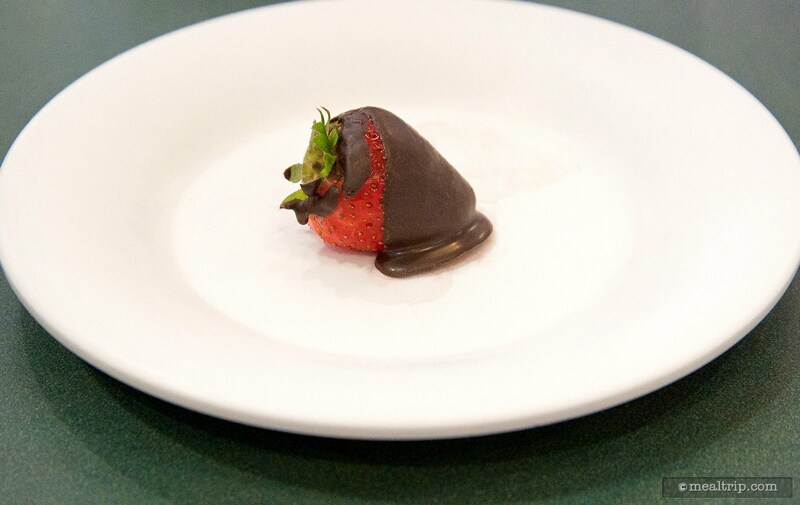 Chocolate covered strawberries are a guest favorite. 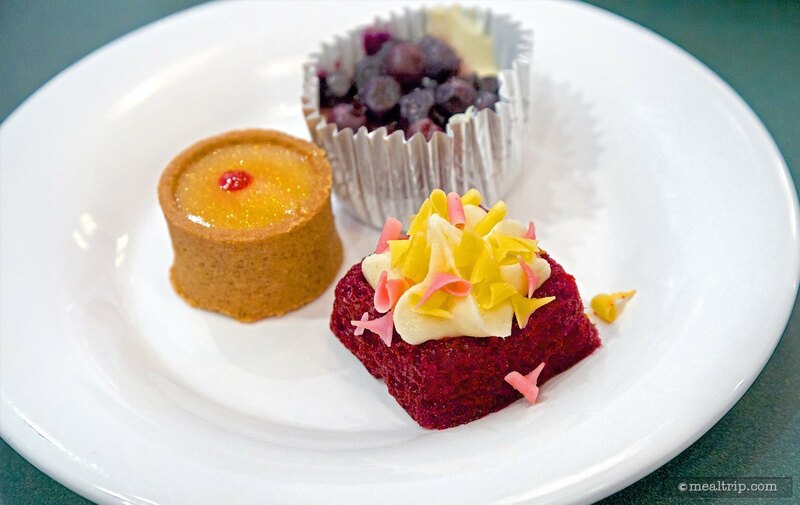 A trio of mini desserts including the key lime tart, red velvet cake, and blueberry cheesecake. 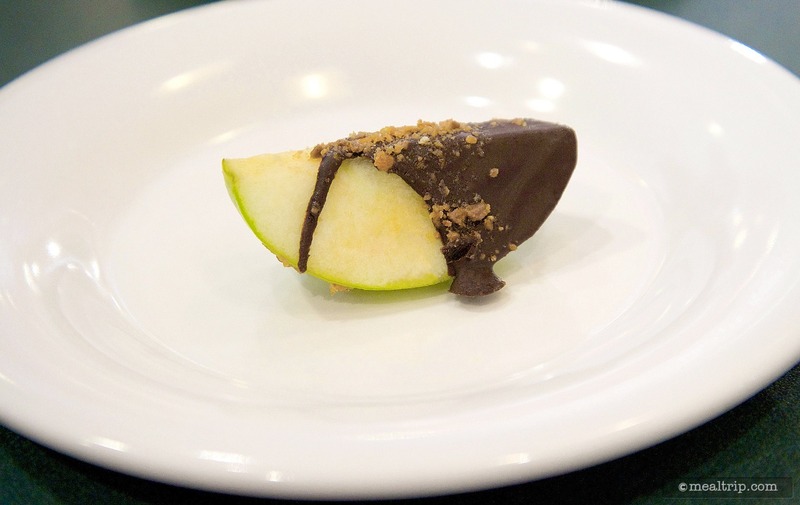 A chocolate covered apple slice with Butterfinger crumble. 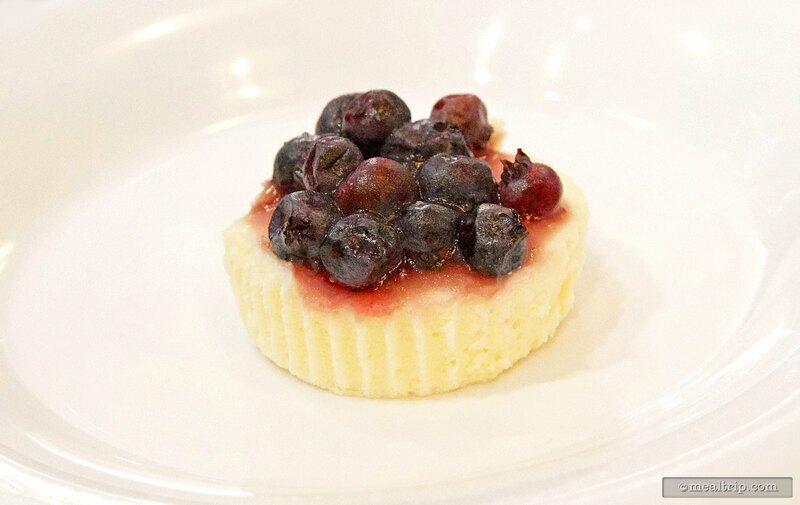 The mini blueberry cheesecake plated by itself. 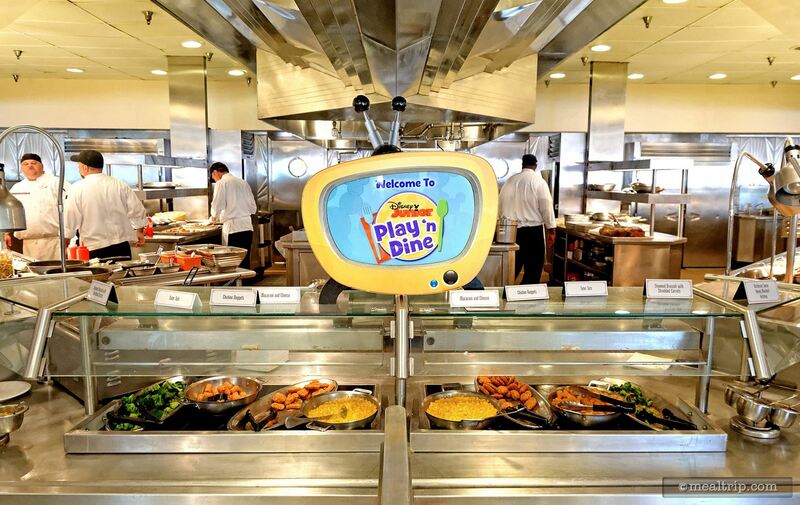 This Play and Dine sign is located just above the children's section of the buffet. 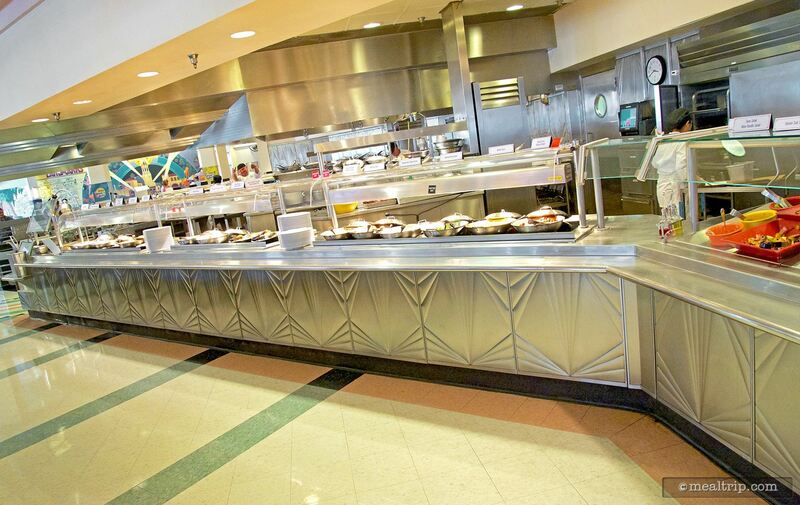 The long buffet line is duplicated on both sides of the restaurant. If one side is too busy, just hop on over to the other. They both offer the same items. 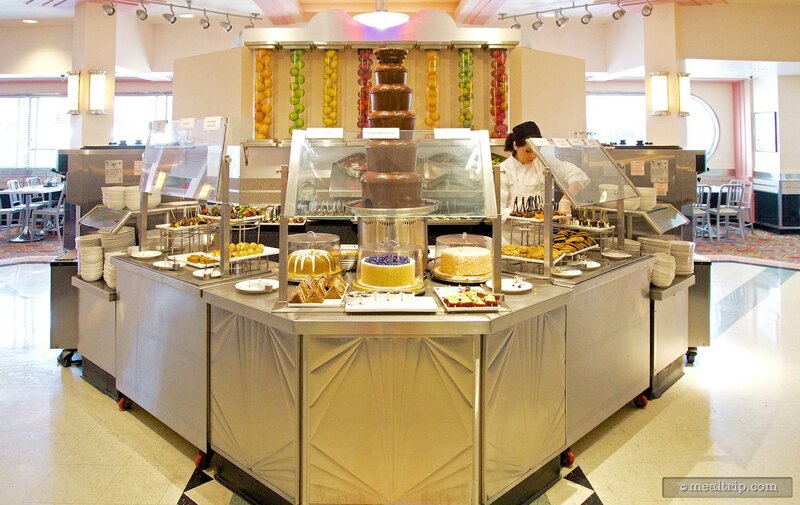 The dessert station is located in the middle of the restaurant and features a tall flowing fountain of chocolate, which cast members use to cover all sorts of delectable desserts. The dining area on the south east side of Hollywood and Vine is very similar to the dining area on the other side of the restaurant. 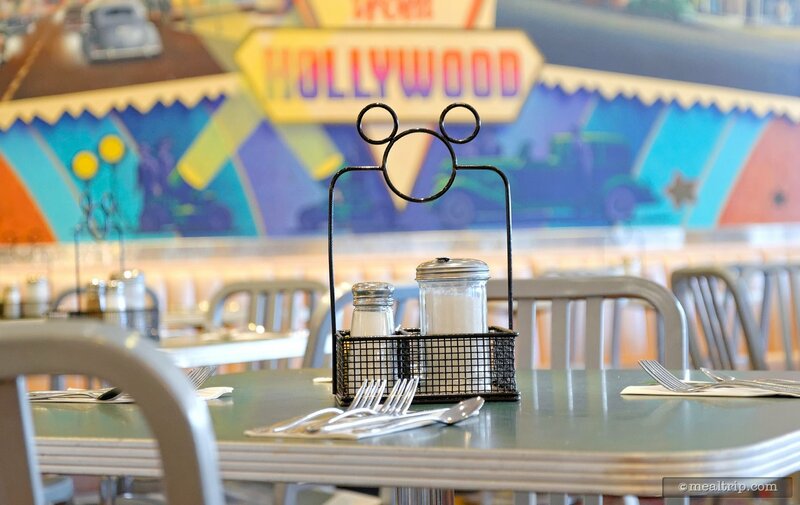 The cute Mickey condiment baskets are on each table. 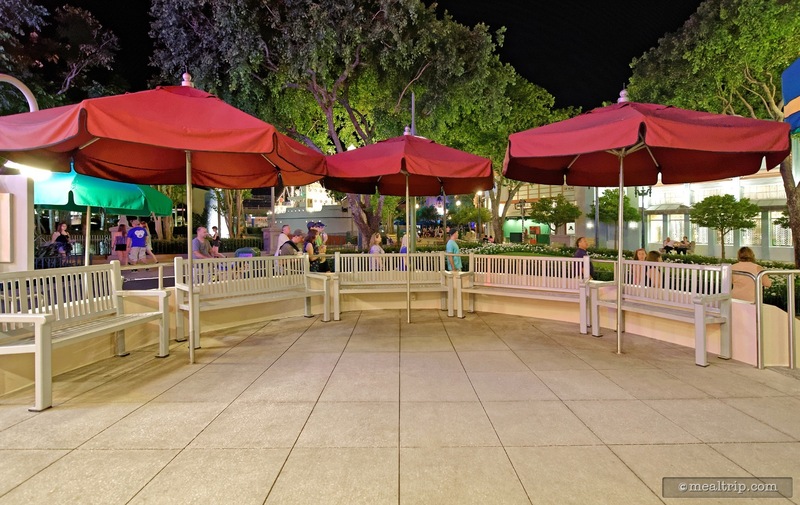 The waiting area outside Hollywood and Vine.